Ashtamudi Lake is the second largest lake in Kerala. It runs over a length of 16 km and covers almost 30% of the town of Kollam. 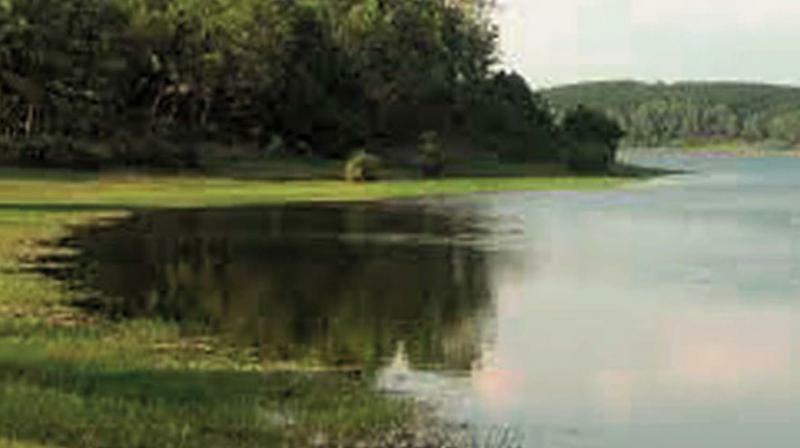 It carries an average runoff of 76,000 million cu m of freshwater into the estuary every year. The name Ashtamudi has been derived from the fact that the lake has eight branches since Ashta means eight and Mudi mean branch. All eight branches join into a single channel and fall into the Arabian sea. Kallada river is the major river which releases out in the Ashtamudi lake. This is the second largest wetland in Kerala with a palm-shaped extensive water body and eight prominent arms, adjoining the Kollam town. All the arms converge into a single outlet at Neendakara near Kollam, to enter the Lakshadweep sea. This estuary is the deepest among all the estuaries of Kerala with a maximum depth of 6.4 m at the confluence zone. The Kallada river which originates from the western ghats traverses through virgin forests and finally falls into the Ashtamudi wetland, after traveling a distance of about 120 km. As has been discussed earlier Ashtamudi lake has eight channels which mean that it has eight faces, each one of which has a unique name. These include- Thevally lake, Kandachira lake, Kureepuzha lake, Thekkumbagham lake, Kallada lake, Perumon lake, Kumbalathu lake and Kanjirottu lake. The wetland supports 57 species of birds (6 migratory and 51 resident species) and 97 species of fish (42 typically marine, 3 estuarine, 9 estuarine-riverine and 15 marine-estuarine). About 40 species of wetland-dependent birds are noted in Ashtamudi Lake, out of which 45% are long distant migrants. The palm-fringed, tranquil backwaters were once the state’s trade highways. With 41 west-flowing rivers, the backwaters stretch to almost 1,900 kilometers. The backwater routes date back over the centuries and have been long used for all transportation needs, in particular trade in coconut, rubber, rice and spices. The Ashtamudi lake, surrounded by red cliffs and swaying coconut palms, still bears traces of its former links with China -on a backwater cruise from Kollam to Alappuzha all along the waterline you can see the famous CheenaVala (Chinese fishing nets gracefully hanging over the lake, as covered country boats ply the backwaters. Tourists can travel from Alappuzha to Kollam on boats to explore the lake’s beauty further. Being very large, a tourist can fully view the Ashtamudi Lake only if he or she travels on boat. Boat trips are always enjoyable. But they become more pleasure-generating when the boating is done along the backwaters of Ashtamudi Lake as they remain the most important means to behold and enjoy the beauty of the backwaters lined with coconut palms. Civilization of kollam is a contemplation of its social group. The culture of Kollam is interesting and attractive. It tells us around the people of the recess, their free living and trust. Perceptive the culture in this city gives you a sensible concept about the system and traditions that are presently post-date by the locals. The attractions festivals, the events all indicate the culture of Kollam in the other or in the one way. Tourism has chosen up in the last century or so and the local people are mostly rather friendly to the travellers. Come and be enchanted by the heady culture of Kollam. This ashram is situated near Amrithapuri, which is close to Valikavvu, a pilgrim centre near Kayamkulam. This place carried the legacy of the saint Amrithanandamayi. 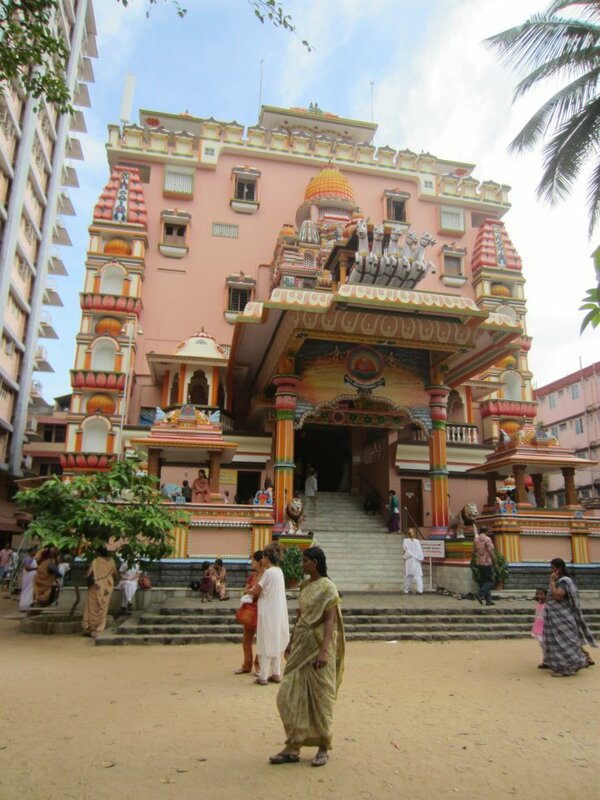 This temple is significant not only because it is situated in the picturesque Mayyanad, but also because it is said to have been consecrated by the great Hindu philosopher Sree Sankaracharya. Sasthamkotta has a water body on all its three sides and is famous as a health centre in Kerala. It is alongside the largest fresh water lake in Kerala and therefore, worth a visit. Another attraction to the beach is the famous Thangassery Lighthouse, which can be seen rising up majestically above the coconut trees. The cylindrical lighthouse tower is painted in catchy red and white oblique bands. You can bear witness to the glorious sun setting over the Arabian Sea, as well as the rising moon as you drive down on the Lighthouse road. The Thangassery beach Lighthouse was built in 1902 to guide fishermen and sailors along the reef-riddled coastal waters. Its beacon can be seen up to 20km out at sea. History has it that prior to construction of the lighthouse, the British East India Company had installed a tower with an oil lamp. The Papanasam Beach (also called as Varkala Beach), which is ten kilometers away from Varkala, is renowned for a natural spring. Which is considered to have medicinal and curative properties. A dip in the holy waters at this beach is believed to purge the body of impurities and the soul of all sins; hence the name ‘Papanasam Beach’. A two thousand-year-old shrine the Janardhanaswamy Temple stands on the cliffs overlooking the beach, a short distance away. 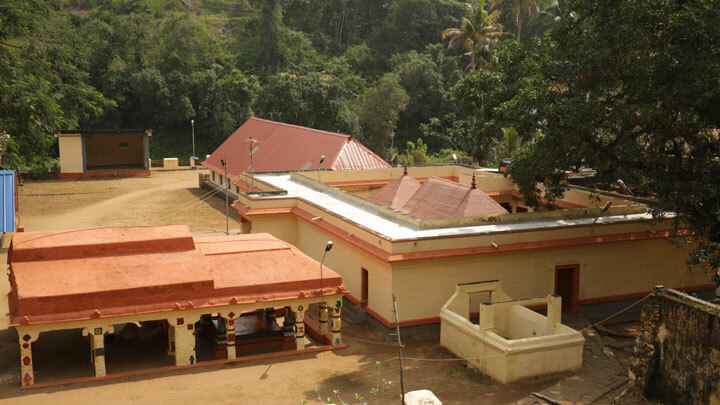 The Sivagiri Mutt, founded by the great religious reformer and philosopher Sree Narayana Guru (1856 – 1928) is also close by. The Krishnapuram Palace is a rare specimen of the Kerala style of architecture, complete with gabled roofs, narrow corridors and dormer windows. Residence of the rulers of Kayamkulam Kingdom, the age of the palace is unknown. Renovated some time in the 18th century, the palace is today a protected monument under the Archaeology Department. Recently it has been again renovated according to the scientific techniques prescribed for the protection of heritage buildings.